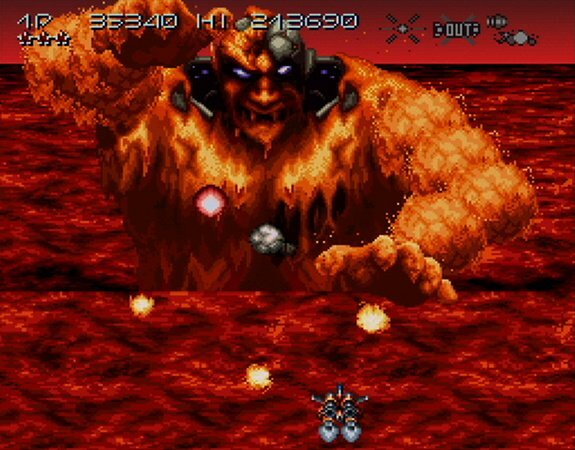 Who said the SNES couldn't handle shmups? Mysterious aliens have invaded the Earth-like planet of Corliss, slowly draining the planet's resources. Take control of the prototype Axelay ship and use its wide range of advanced weaponry to battle enemy forces. Play through multiple stages of action - from other planets to space stations - all on your way to destroying the alien headquarters. You are Corliss' last line of defense, so be careful not to be too distracted by the excellent graphics (including great scrolling effects) and rocking music. 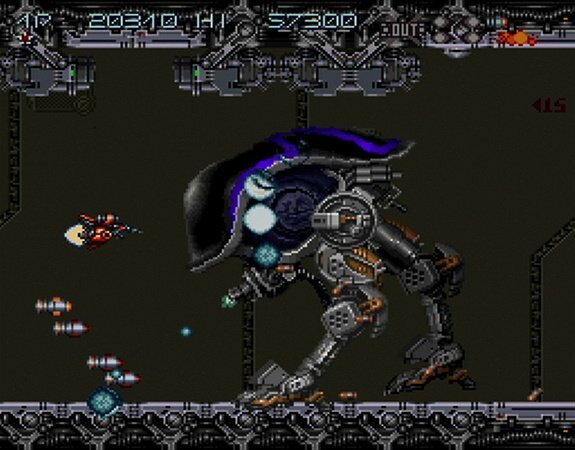 Pilot the Axelay using Konami's famously tight play control and experience what many consider to be a classic of the shooter genre. I approve of this game! Great graphics, superb soundtrack, this is a must buy. Oh yes!! Top game, hope it comes out really soon. one of the best shooter i ever played - hope it will come out early! i remember this, it was excellent. definitly gona download this one. One of the greatest shooters ever created. I still drag this cart out all the time to run through it. 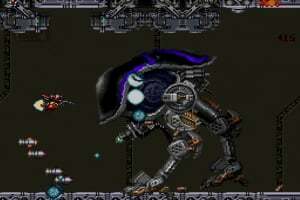 My second favourite shoot em up ever (after Super Aleste). Probably my favourite game music ever. Can never decide between this Castlevania 4 and Super Aleste. wonderful wonderful music on this one. i never did get very far though without cheating... shooters weren't really my thing. i mainly played this because i liked the graphics and the music. I think I may just have to download this when it's out, really enjoyed this game...especially the mode7 levels. This really is the best of the best on the SNES. Not sure what i like most, the graphics or the music(especially level 3). 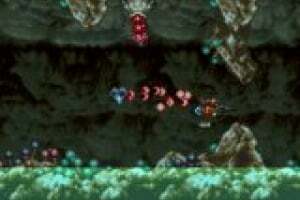 And the cool bosses like the walking robot on level 2 or the ufo on 3, which is really hard. This is a must have and hopefully it will be out in the rest of world soon. It was released in Australia for some reason. Good game, also very fair for a shooter. One of my favorite shooters, up there with Blazing Lazers and Gates and Lords of Thunder. Great graphics, sound, playability, the whole nine yards. If you like shooters or game with pretty pictures, get this immediately! Robert: My favorite shooter ever. Axelay v Gate of Thunder v Soldier Blade? I'm not rich, so would prefer to only have one of them - relayability is a big factor. This soudns nice though. I thought this was going to be like Gates of Thunder. It's a lot of fun anyways! The sound is also brillaint, with effective sfx, and very catchy tunes. I can't fault this title. A must-have AAA experience. This game has been on the vc in New Zealand for about 2 months. 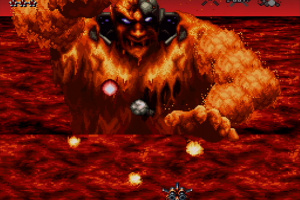 More enjoyable than Blazing Lazers and Gradius III, but I'd still have to give the nod to Super Star Soldier, Soldier Blade, Gate of Thunder, and R-Type III. Only six levels is a bit of a drag, but the music is really pretty rocking, so it works out. I'll need to check it out....sounds good! So....Australia already has this game, while it hasn't had a release in the rest of the 'EU' region. Are we in Australia missing out on another game that has been released to the rest of the 'EU' region? Axelay is awesome but why do us Europeans have to suffer waiting for this game? Australia got it like 4 months ago. @ Homer Simpson Probotector 2 for the NES isn't on the Australia and New Zealand VC console. I'm still stuck at the last stage but this game is alot of fun and looks really cool, and it plays a little differently than all the others. It's a very solid game. Could you get this by setting your console to Australia as the Aussie's did with TG 16 games? i was just about to suggest that for europe gamers before you said that. Love 1up.com and Jeremy Parish's introspectives but he was way off base when he slammed this game in a Retronauts podcast. Axelay is a challenging and graphically-impressive shooter. Thas right Mr. Slangman. i been waiting ages for this game to come out in the EU. i really am very annoyed with waiting. I just changed region to Australia on my Wii settings. After that, i added 1000 Wii points and downloaded Axelay. After that, I change back to my original settings (Denmark). I can now play the game on my Wii. Has anyone else tried what Django has done. Can you do this in the u.k. ? could further updates stop the game working in the future? Why hasn't Super Aleste come to VC yet? I'm not sure if I want to risk stopping future updates from happeneing if I were to try Django's trick. Come on Nintendo - get these games released in Europe! Is it possible to re-link them back together again? Well, its my favourite shooter game too. Great Graphics,Fantastic Soundtrack, awesome gameplay. I always love this games. It put out everything from the SNES. Satan's therapist. yes it is possible. It only deletes the link temporarily while you are in another region. presumabley as Australia doesn't have a stars system. As soon as you change back you get the option to relink. To be fair to Nintendo they are pretty honest and upfront about this (almost like they know what you're doing it for). It's so funny that many media outlets claimed that the Super NES would never play host to any type of quality shooter given the system's slow processor speed. It's funny that it not only hosted some fantastic shooters, but it also had Axelay which is one of the greatest shooters ever made. Guess you can't judge a book by its clock speed. After being disappointed with Star Soldier: is this much of an improvement over that game? Its a good game not my favorite and its short but really fun. Has horizontal and vertical stages which i have never seen in a game before. i guess i have to play more shmups. In my mind, this is one of a handful of truly well-crafted shooters. Firstly, there is NO power-up system, which means no waiting on flying upgrades and just focusing on staying alive and switching constantly between weapons for different situations--this element especially makes Axelay something really special. Not that it's the only shooter with weapon selects, but in this case the three types are each distinctly designed for different situations that will cause constant switching. It makes, say, the Star Soldier series look lazily-designed by comparison with simply finding your favorite screen-sweeping weapon, once you've grabbed the upgrades. Again, Axelay makes its contemporaries look just plain lazy with its thoughtful and innovative design choices. 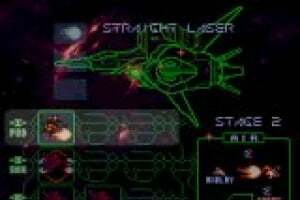 Likewise, not unlike the superlative Gate of Thunder (my personal fav), and unlike the Star Soldier series, the designers clearly had something in mind with how exactly they were placing obstacles and enemies, with, again, respect for the different types of weapons at your ship's disposal. Consequently, there are also no obnoxious spikes in difficulty (yet again, like those found in the more careless stage design of shooters like the Star Solider series). The scrolling is therefore slower and methodical, as it arguably ought to be with Axelay's elements of strategy, and the vertical scrolling sections create a legitimately appealing illusion of seeing a bit more "forward" than just overhead. 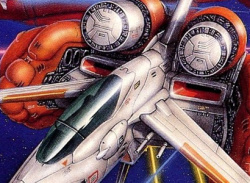 Let's face it: it was probably the old shmup games that created the stigma of "dumb video game" back in the day. If more shooters were crafted with this kind of care and thoughtfulness, the genre wouldn't have died so early and would have found itself more respected. I really don't see why more couldn't have. These three are neck-and-neck to me on the VC. Let me ask you something Cally, have you ever played Thunderforce III or Elemental Master? They are two of my favorite shooters, along with Lords of Thunder, and Ikaruga. Wow, kind of accidentally happened to revisit this page so soon. My answer, for Thunderforce III and Elemental Master is "probably" for now. I casually visited quite a fair share in the 8/16-bit era--rentals/friends--but didn't buy very many at all, mostly because they're so short, I think. Limited continues hide the fact pretty well, giving the illusion of longevity (consequently, something you don't find in other genres too often: even many arcade ports simulate the endless pocket of quarters ). This is especially annoying in the all-too-often trial-and-error gameplay (I'm supposed to memorize the thing, on TOP of the stress of those limited continues). Sadly, haven't yet gotten to Ikaruga.--the latest traditional shooter I got into that I thought good things about was Einhander. But thanks for pointing those out. I'll say good things about other shooters, but I believe par quality is a bit lower than other genres with retrogamers. 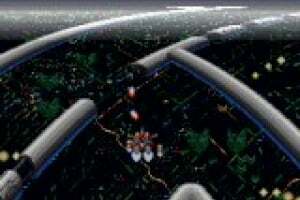 It's probably more about some general issues with arcade ports and, of course, games modeled after coin-op game design. So I went and bought the thing. 1) Yes it is short 2) IT IS AWESOME! This is a very fun game great music and clever level design. My wife doesn't usually like SHUMPs but she walked in this morning and said "I really like this level you're playing. In fact, I like the music too. This is a really pretty game. I like it." She was right. So far Lords of Thunder is still on the top of my VC SHUMP ranking, but this is like #2 or equal to it. Great! YESSSS! Still not out in EU but i managed to pick up a 2000 AU Wii Points card switching my country settings to AU. And guess what it works. Awesome Awesome game. It's fun though and the soundtrack is awesome. The way the weapon system works is genius and the graphics are great too. Ugh...I really gotta remember to get this sometime...wait, that's right I was planning on getting some points this weekend, so I'll just get it then! Genius! What did you think Mickeymac? It's just a shame this one still hasn't come out yet in Europe. Edit: Okay, not really. But my guess is in Summer 2010, maybe. This game has some of the best music in any shooter. Axelay is a great example that while the Super Nintendo wasn't known for it's library of "Shumps" as there weren't that many released during it's lifespan. 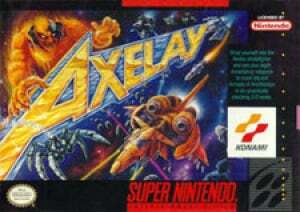 Axelay showcased that the SNES could do the genre right. Axelay by Konami is a rare gem.